By now I’ve realized that we took on a lot with this project and that I am not going to be able to get it to where I want it on time–but I will get it there because even though we are behind, the progress we’ve made even in the past week has been really incredible. The site is running good and now it’s just a matter of going through and copy/pasting new elements and php functions. Also this week, Gabriel did more content development and I continued on with the site, making it leaner and meaner and more simple. 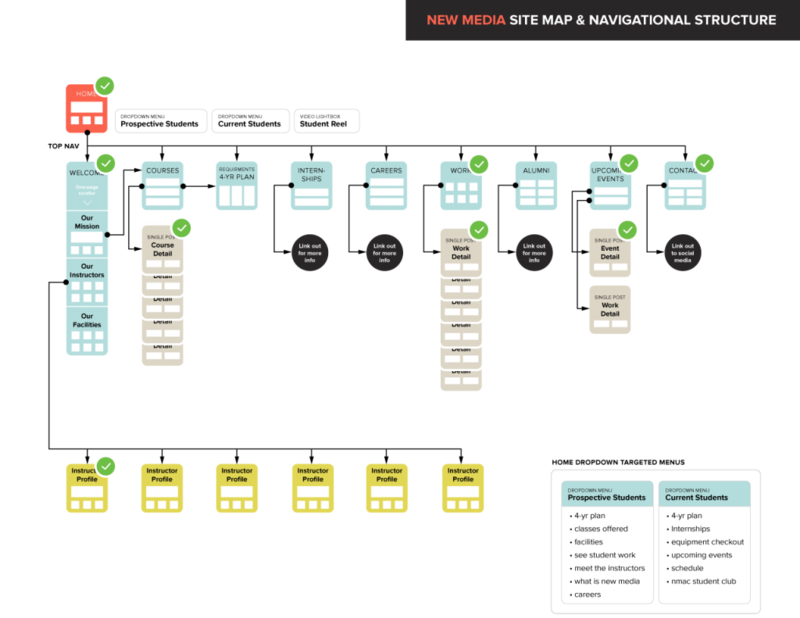 I began checking pages/templates off our original site map to not only assure stay on course but also that we don’t miss any planned features. I finally made a main navigation to replace the test nav. Now we can surf parts of the site live and thus we have opened a whole new round of edits and modifications. 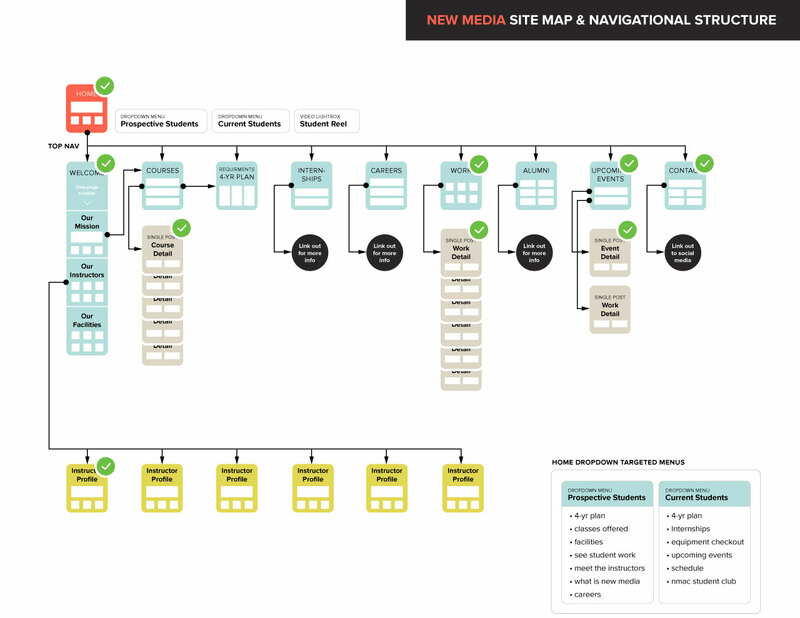 But we are digging deeper and the deeper we go the more stable the site will function. So, I’ve pulled a couple more all nighters but I’m proud of what we’ve made thus far and terribly excited about seeing it working in the department. All worth it! !